This morning Tuvalu class led a wonderful service for the whole school at All Saints Church. They looked at different words that could be used to represent what harvest means to us. The S stood for share and encouraged us to think about sharing with others not as fortunate as ourselves. 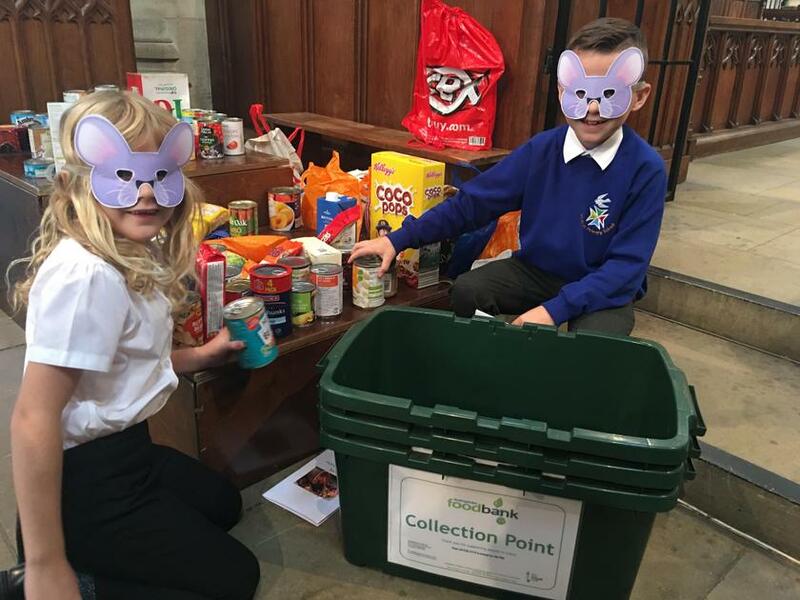 As a school we showed this through the enormous amount of food that was bought along to donate to the Basingstoke food bank. Thank you to all the children who bought in a donation! All together we managed to collect 156.31kgs of food which is equal to 372 meals!